We’re hosting a networking event for members of the Toptal Community in Porto and our guests. Join us at Lais de Guia, Tuesday, July 31st starting at 6:00 PM. 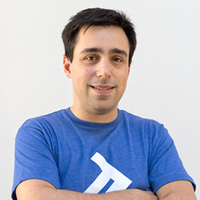 This is an opportunity to get to know new Toptalers, as well as Luís Filipe Teófilo, Director of Engineering at Toptal and Community Leader for Porto.